First and foremost, at Finesse Windows, we strongly reject and have never taken part in the fictional discount pricing model, whereby our competitors start with a high first price – only then to reduce the price based on “amazing discounts’ or any other type of misleading sales techniques. Our approach is very simple; we always take a full survey of your property in Solihull, and your specific requirements, and then provide you with the best solution to best meet your needs and your budget. We price each piece of work as competitively as we can to allow for the full and correct installation, and then we understand that customers will always naturally strive to gain value for money and we ensure that all our processes are designed to achieve exactly that, any discounts then offered are based on the acceptance of either our Marketing Package or our Flexifit Package offering. The price you should expect to pay for double glazing is a topic that most people will (quite understandably) never think about – until the day they decide to invest in new double glazing for their own home. At Finesse Windows we try to take all the mystery out of the pricing of our Double Glazing installation in Solihull; we clearly explain the product, the solution and the service you are buying, enabling you to best evaluate the whole package against competitors. There is no standard price for U-PVC Double Glazing; the cost is always dependent on a number of factors which help meet your exact requirments; for example the primary reason for buying could be security, at this we would look to talk to you about the SHIELD Protection upgrade which is 18x stronger to intruder access than standard glass. We then manufacture your Double Glazing windows from scratch in our own factory, your order will pass through 7 stages of manufacturing before it arrives in the hands of our factory manager who personally inspects every window before it leaves the factory to ensure it is fit to bear the name of Finesse. After you have agreed a contact with us we send our technical surveyor to your home to take accurate measurements in order to be able to manufacture your bespoke double glazed door. We never charge for designs if the customer doesn’t go ahead with any work – and we never charge more if we have visited you multiple times to discuss your purchase before you buy as often a customer may request numerous design visits to feel comfortable with their purchase. As part of our process a member of our customer care team will visit you after the installation to make sure you are 100% satisfied with your purchase. The installation of the Double Glazing is probably the part of the process that requires the most ‘Finesse’. All our fitting teams are MTC approved which means that they are capable of fitting products to meet building regulation standards. We take responsibility to take away and dispose of your old windows safely, recycling where possible. When you invest in a double glazing with Finesse you are also buying a comprehensive 10 year guarantee which is insurance backed. Perhaps obvious but we believe in complete transparency. We invest heavily in product development to ensure that all our products are as strong and thermally efficient as they can be. The replacement of some external windows and doors is a notifiable job for the purposes of compliance with Building Regulations. We take on the responsibility for this task and do it on your behalf so you don’t have to worry. 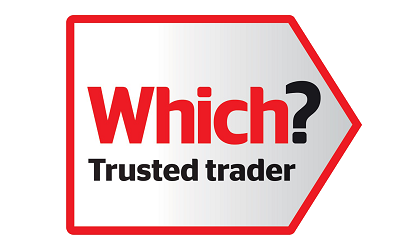 We feel that the price we charge for our double glazed windows & doors represents excellent value for money.